Westwood California has a problem with mutilated cats turning up overnight. A warning has been issued to keep pets inside as the predator is definately not an animal as the bodies have been sliced cleanly in half. The half bodies have been found with no blood around them which seems to indicate that they were killed elsewhere. The signs are typical of half cat mystery deaths around the world which appears in clusters for a few months and then disappears. Lock your cats up at night people, they are not safe outside. 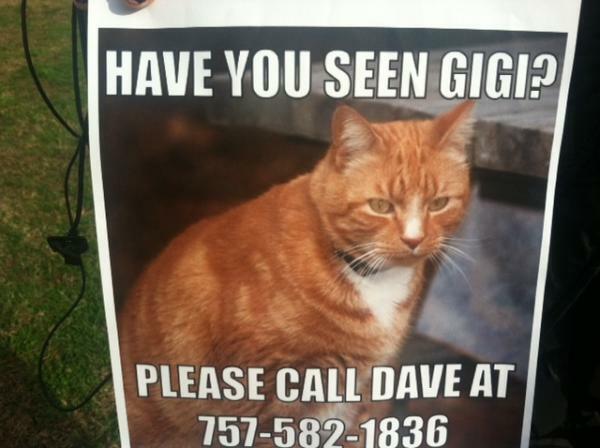 Portsmouth, Virginia is in the news for missing cats. Residents are saying that “something strange is happening" in their town. Six cats have been reported missing to animal control and their owners are hoping that the missing animals will turn up by themselves after being out on a hunt. 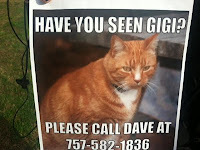 If six is the number of reported cats missing in ten days - how great must be the number of unreported missing cats!! I am sure there must be more to it than meets the eye. My advice is to get outside very late in the night and call your pet the instant you discover it missing.. I hope these most loved cats come home. You can read the full story here. Close Encounters of the 4th Kind is described by AlienResistance.org as an investigative website covering the Biblical view on the UFO phenomenon and poses the question “are Christians being abducted by Aliens”. They say that to live with the idea that people cannot control what is happening to them is devastating. Being unable to even ask for help from friends, family or the medical profession because of ridicule only intensifies their situation. "In the Name and Authority of Jesus Christ 'Alien Abduction' Can be Stopped and Terminated as a Life Pattern. Through the research into the case testimonies it was found that some of the experiencers were able to stop or terminate the experience. There was a recognized commonality in the method that was used among the Christian experiencers. 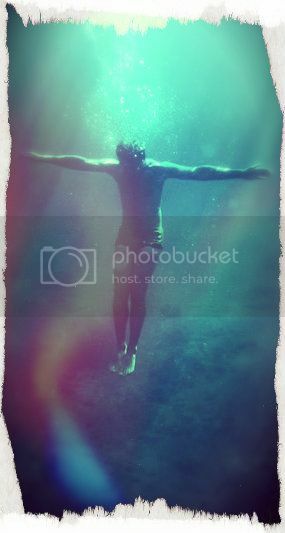 The experience was shown to be able to be stopped or terminated by calling on the name and authority of JESUS CHRIST. Not as a magic word but by their allegiance to and personal relationship with Him. We also found that by sharing this with other experiencers we could help them also stop their experiences." The CE4 Research Group has to date worked with over 400 cases of the Alien Abduction Experience. The evidence of their findings is in the testimonies of the experiencers with over 95 posted with permission, written and audio testimonies from the experiencers themselves. There was a recognized commonality in the method that was used among the Christian experiencers. Their experience was shown to be able to be stopped or terminated by calling on the name and authority of JESUS CHRIST. An article presented by Veterans Today talks about a Third Force inhabiting the earth. It has been suggested numerous times that this mighty force for Evil in the world, has attained power over nation states by setting up puppets to control them to conform to their overall world goals. Since the advent of the internet there has been an explosion of research and disclosures about this THIRD FORCE. The work of numerous excellent very well informed researchers, historians, journalists and intel experts has made it possible to make reasonable hypotheses about this Third Force which has been mysteriously and covertly influencing human destiny in a blatantly evil and foreboding fashion under different dress among the few most powerful nations in order to pit them against each other as a continuing strategy of tension to divide and conquer strategy of producing continued states of conflict and massive chaos which allows major changes to be made by the Powers That Be which would otherwise not be possible. In recent years numerous researchers and journalists have been connecting the dots as never before and have started arriving at the conclusion that there is a secret, covert major and very powerful and “bad to the bone” THIRD FORCE which appears to have captured most of the major nation states of the world and appears to have somehow gained control over its leaders to act as parasites upon their citizens while cooperating with each other to produce a New World Order Globalist Tyranny; its operative ideology being “ends justifies the means” with absolutely no value placed on human life, a complete lack of love or any humanity at all. The THIRD FORCE might be what the Old Black Nobility called the “teeming power of Lucifer” that controls the whole earth within the limits allowed by God Almighty and asks is this THIRD FORCE non-human or alien. Some have claimed that these Alien entities (they call extraterrestrials or ETs) are actually benevolent and are here to rescue mankind from himself. The best evidence to date is that this is not true at least for those who are predominantly in control. This is based on reports of a treaty made by President Eisenhower with some which started out good and ended up with these ETs proving to be very deceptive, and notably evil and predatory. This subject was discussed in the article, Secret Space War in Veterans today. The THIRD FORCE are extra terrestrials that have come to Earth as parasites to con and manipulate to fulfill their secret agenda, some have referred to as “the Alien Agenda” which is to create a NWO Globalist system with a greatly reduced population, complete control, access to human genetics to create a new trans-human hybrid race and full access to all earth’s resources, supposedly all to be done in order to quarantine the Earth and keep it from harming the universe as they develop nuclear technology which can get out of hand. The Powers That Be know that their time to fully implement their plan is short since people are starting to awaken to their inhuman, evil plans and with the Internet the alternative news is getting the truth out at breakneck speed. It is time for folks to wake up and realize that the earth has been invaded and hijacked by a foreign enemy which is being influenced by a Third Force that appears to have an evil anti-human agenda. According to rumours from well placed sources the dilemma faced by the sinister Third Force is: On the one hand those doing the dirty work (the puppets in power) are being told that unless they complete the plan quickly, the aliens (the THIRD FORCE) who run them according to a “alien agenda” will just go ahead and institute major disasters or even perhaps destroy the earth (an obvious lie according to those than know the “Rules of Play”). But the Powers That Be are afraid that if they move too fast they will elicit a major mass awakening of the public which will create a push-back so large they will be defeated and driven out of office or worse. The Third Force deeply fears people power. They look on us as a sleeping giant, who if fully awakened has the ability to bring their regime completely down in a week. The super-elites know that civilisation is on the verge of a mass awakening and they are afraid. That is why they are moving fast and going for broke because they know their time may be short. So they are now moving ahead as fast as they dare, and perhaps they have now gone too far too fast because they have lost their judgment and listened to ivory tower experts who do not understand the strength of the human spirit. The Third Force operates on mind control and bluff. If folks pull the curtain back the power evaporates. Is the Third Force a timeless ancient Beast of Old? Or is it merely the current face of EVIL which is a very old Beast and common enemy of mankind which goes all the way back to man’s creation? Comment - During the week I pondered this THIRD FORCE and it political implications, because long before I had read anything concerning a hidden hand manipulating humanity, I came to the conclusion world events were in fact governed by off world controllers. I was re-reading the THIRD FORCE when it suddenly struck me, could this THIRD FORCE also be responsible for a host of other events , events like animal mutilations, disappearances, ufo`s, strange entities. Who knows why a superior intelligence would want to keep us guessing by inflicting paranormal events on us, perhaps that is it, keep us looking the other way while it gains even more control. It is certainly food for thought. "NASA's Curiosity rover should be running at full capacity next week after a computer glitch temporarily suspended the robot." 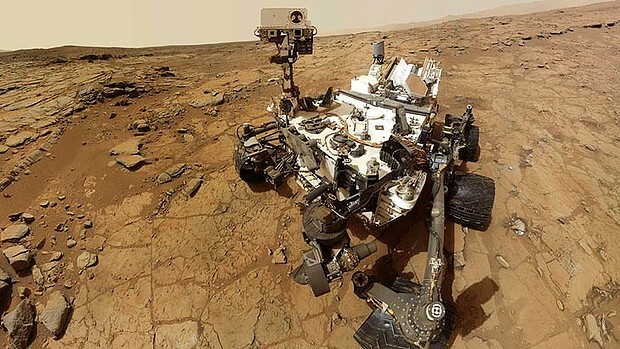 One reader writes - "I could not understand why I could not access any images from the Mars Raw Image site, well apparently one of Curiosity`s computers has develop a glitch, hindering the image sending, it’s the first glitch I think they said in 7-months. This glitch happened just before Curiosity could send the results of the soil sample it drilled for. I managed to find Richard C Hoaglands comment about the glitch on youtube its really worth listening to he say some interesting stuff he also has the knack of reading between the lines and fitting the puzzle together. Richard Hoagland is on in the first hour, you need to jump about 8-mins in for him to start talking, his talk finishes about the 40-min mark, so its about a half hour long. News seems to say that there is a big push for a manned mission to Mars by 2022 and there are lots of players. So is Richard Hoagland right when he says "Something big is coming", perhaps an announcement, we will have to wait and see." This move is about time, but why are they tidying things up now, and why UFO`s ?. Has anyone noticed that the world is slowly being conditioned to accept the presence of alien beings. All over the internet are articles written about the possible meeting and engagement of alien life forms. This is referred to as the 4th kind. It has been taken for granted by those who accept the existance of aliens that they are empowered with higher technology and therefore a higher conciousness. By coming to earth it is assumed that their purpose is to share with us their power and technology with the enlightenment of lifting us out of our earthly troubles and saving us from ourselves. When I think of all the people who would welcome this interaction with aliens I have a visualisation of my neighbour with her open acceptance of everyone. A wonderful way to be of course; but thinking of her inviting an extraterrestrial into her house to accept a cup of tea and discussing worldly matters brings me to realise that there are a lot of people who would do the exact same thing - offering courteous hospitality to those perceived to have a higher intelligence. But were that a possibility why would an alien not choose to have a cup of tea with the president? 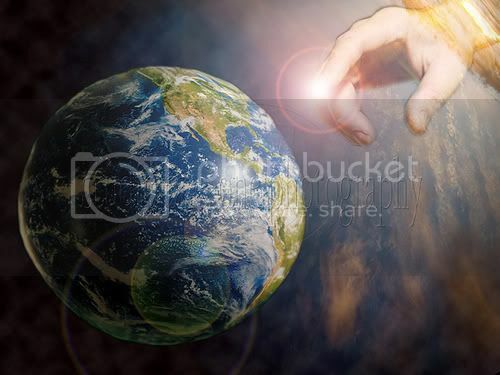 The fact is: HUMANS were given control over the earth and all things on it (Gen1:26). There is no mention of extraterrestrial aliens having control over HUMANS and our earth; which is exactly what aliens have been achieving surreptitiously. This is the biggest deception. It is in our minds that aliens do not exist. It is in our minds that aliens are not creating confusion, fear and death on this earth. IT IS ALL IN OUR MINDS THAT ALIENS HAVE CONTROL OVER US. Has anyone wondered why all abductions, mutilations and strange lights always happen at night? It is because aliens are creatures of the darkness, their power is at night. They do not live in the light of day or the light of God. People do not realise that we are actually more powerful than any life form not of this earth. We can protect ourselves against these terrifying beings. We can protect our people, our animals and our earth by praying; by visualising a white light covering anything and everything. Ask for deliverance. Our world is in trouble at the moment. God has his own forces at work out there. If you do happen to have a strange encounter you must trust your instincts. Do you feel that this is a good or bad experience? Your instincts will tell you what to believe. For more information about how to protect yourself read the section" Bothered by Entities?"